My name is Dirk Dowald. 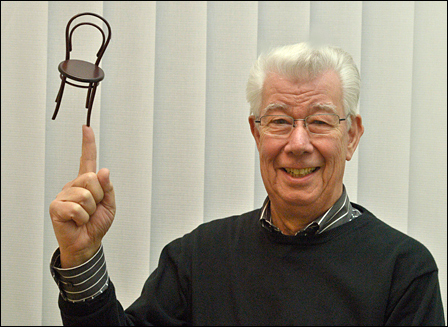 I am a collector of chair miniatures (in German „Miniaturstuhl“) and I would like to use this blog to show you my collection. I started with a few miniatures only, which I bought between 1996 and 2002. 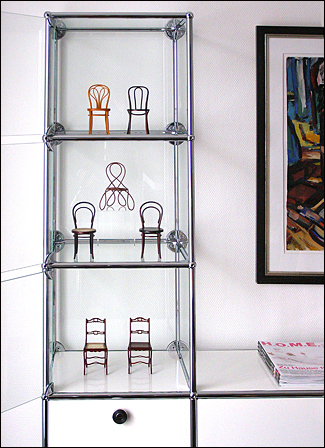 I did not knew then that these miniatures would be the basis of my collection of chair miniatures, which is really large today. Later on – in 2005 – I started purchasing miniatures to enlarge my collection. 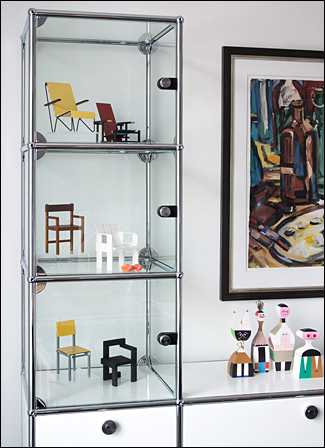 In the first years, all I were interested in were miniatures offered by the Vitra Design Museum. 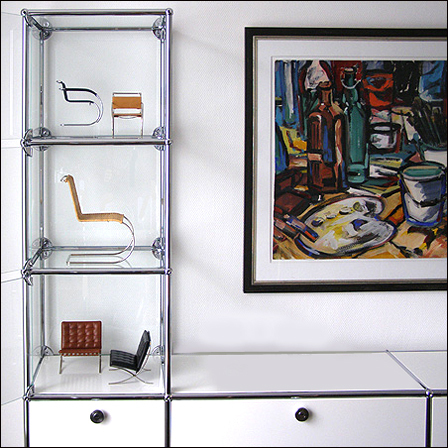 Then the small Thonet collection and the Arne Jacobsen miniatures by 1:6 Design called my attention. I have managed to add also many little works of art by other manufacturers to my collection so far. Today, my archive cabinets contain one miniature close to the other – behind locked doors for reasons of conservation. 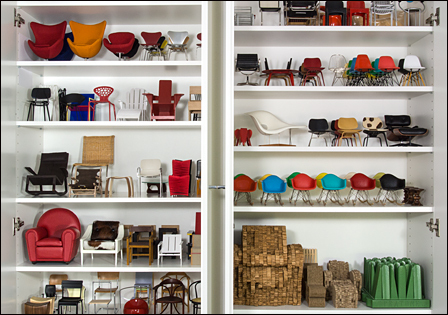 In two cabinets with shelves offering 15 running metres of space, the miniatures by the Vitra Design Museum are stored partly in three and four rows. Another cabinet offering about 8 running metres of space houses the miniatures by other manufacturers. Of course, I also present my miniatures in a display cabinet. For this, I carefully chose models to arrange them in a context and after about four weeks I decorate new models. Please find below pictures of three decorations with the model names and manufacturers of the miniatures. * These miniatures are custom-made items or manufactured in an edition of 10 items for the exhibition of miniatures called „Designmaßstäbe“.